Toyota has set its sights firmly on the popular premium sedan segment as it unveils the Toyota Yaris sedan for India at the Auto Expo 2018. 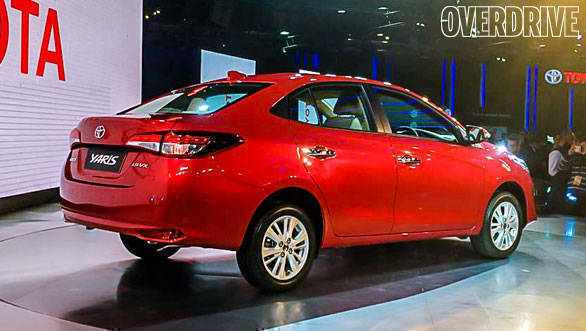 The Toyota Yaris sedan, aimed at taking on the Hyundai Verna, Honda City and the Maruti Suzuki Ciaz when it is launched in the country in April 2018. 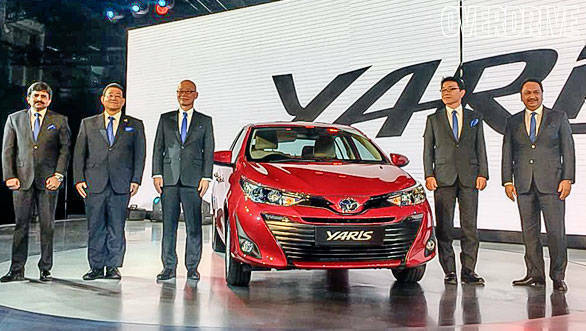 While we had earlier pegged the popular Toyota Vios sedan as Toyota's vehicle to take on the competition, the company has gone one better by bringing the Yaris, which is based on the Vios. 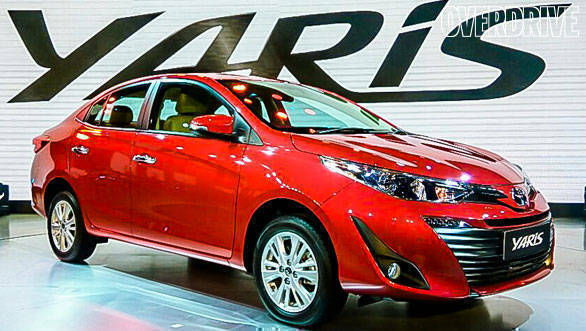 The Toyota Yaris sedan is sold in various international markets as the Yaris Ativ and the Vios. While the competition sedans all fall within the C-segment, Toyota is positioning the Yaris as B-high segment vehicle, which will sit above the Toyota Etios and below the Toyota Corolla here. This positioning suggests that the price range of the Toyota Yaris will begin higher than the competition. Since the current pricing of higher-spec Etios variants also enters this segment, Toyota is well aware of some level of cannibalisation of the smaller sibling's market. 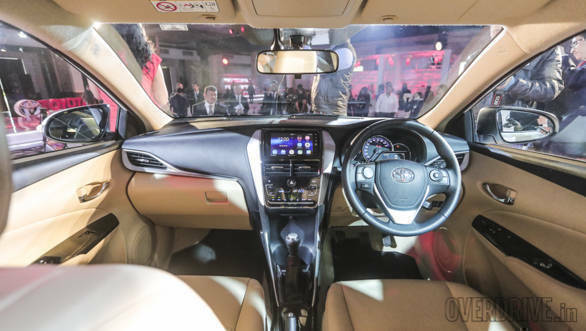 However, the Toyota Yaris is being touted as a value offering with high level of safety and other features on offer as compared to the City, Verna, and Ciaz. The cabin looks quite youthful with a large instrumentation featuring analogue clocks and a 4.2-inch MID, a 7-inch touchscreen infotainment unit in the dash, a bolstered steering wheel and sleek air-conditioning vents. It will be interesting to see if Toyota goes with a sporty all-black layout for the cabin, or chooses a more popular black and beige combination for the India-spec Yaris sedan.